Erchonia today announces that the preliminary results of an ongoing clinical trial testing its Lunula laser for the noninvasive treatment of nail fungus have been published in the latest issue of the medical journal Podiatry Review. I am pleased to say the current data we are obtaining substantiates the Lunula laser as a safe and effective treatment for onychomycosis. Furthermore, the data demonstrates that Lunula is effective at treating varying degrees of infection. Erchonia today announces that the preliminary results of an ongoing clinical trial testing its Lunula laser for the noninvasive treatment of nail fungus have been published in the latest issue of the medical journal Podiatry Review (Vol. 71 No 2 pgs 6-9). 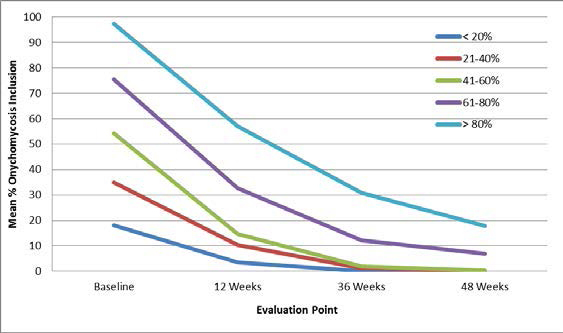 The technical article entitled, “Erchonia Laser Therapy in the Treatment of Onychomycosis,” summarizes the 48-week interim results of an 18-month study in which data for 323 patients has already been successfully recorded. According to the results of the study, the Lunula laser validated percentages of nail clearance, specific to varying levels of nail inclusion. Post 4 treatments, the fungal infection was eradicated on 99% of study participants, and clear nail growth was also recorded on all these participants. It was also observed at the 48 week stage that only 4 patients were found to have suffered re-infection. Unlike conventional hot lasers used for the treatment of fungal nail infections, the Lunula laser is reported to cause no pain to the patient and no temperature change in the treated area. Further results will be published at the close of the study. Erchonia’s Lunula low level laser therapy is administered non-invasively and efficiently in just four treatments. Using low level laser light, it effectively eradicates fungus from the nail, nail bed and surrounding tissue — without pain and without adverse effects. All ten toes are treated at the same time in a 24-minute treatment unlike more conventional lasers where each toe is treated individually. Erchonia is the global leader in low level laser healthcare applications. Over the last 15 years, Erchonia has been conducting research and development with the world’s leading physicians to advance the science of low level lasers. Prior to market introduction, all Erchonia lasers are proven safe and effective through independent level 1 clinical trials. Erchonia has garnered eight FDA 510 (k) market clearances and has several other products in research and development for new applications. 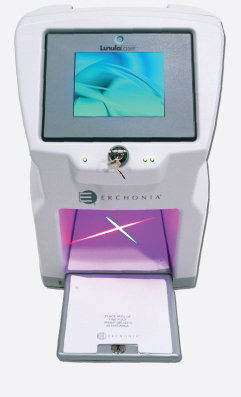 Currently thousands of Erchonia’s lasers are used daily to reduce body fat, eliminate pain, and treat acne. For additional information, visit http://www.erchonia.com.